With climate change recently being understood to be of real concern, and carbon emissions being of key concern in the calculation, it’s never been a better time to talk about the use of sustainable timber for sash windows and how we try to minimise any waste of valuable resources. Before understanding how we use sustainable timber it’s worth understanding a few key concepts. What is sustainable timber? Where does sustainable timber come from?The forestry techniques used in it’s collection, and how new growth is managed. When one tree is cut down, another tree is planted in it’s place – that is the short blunt answer, but it’s not what really makes timber sustainable. Timber is made sustainable through careful forestry – carefully handling the delicate surrounding environment, both wildlife and flora, whilst using implementing sustainable forestry techniques. This is the true meaning of sustainable timber. In the UK timber must be FSC compliant in order to be sure of it’s origins and forestry techniques. The FSC are charged with the responsibility of ensuring timber is correctly managed. It is our opinion that the management of all timber cut down is quite a considerable task, and the timber we use will always be FSC compliant however, we look to forestry companies directly to ensure that basic standards are met in the upkeep of our delicate environment. The responsibility should be with the man planting the tree in place of the one removed. He knows better than anyone how to keep the balance of nature, whilst making healthy profit from it. Where does Douglas Fir that London Sash Window Repairs Ltd use, come from? We normally use Douglas Fir which is UK grown. It originates from America. For joinery it has a nice tight, dense grain and makes for an excellent quality finish. Douglas fir was introduced to the UK in 1827. Seeds were planted and it still grows well today. The UK climate is ideal for Douglas Fir as it’s a mild seasons help growth considerably. The Douglas Fir now stands highest of all trees in the UK, over two hundred feet in some cases as a result of the ideal growing environment for this species. Douglas fir is neither Pine or Hemlock, however has been called both, and is very similar. 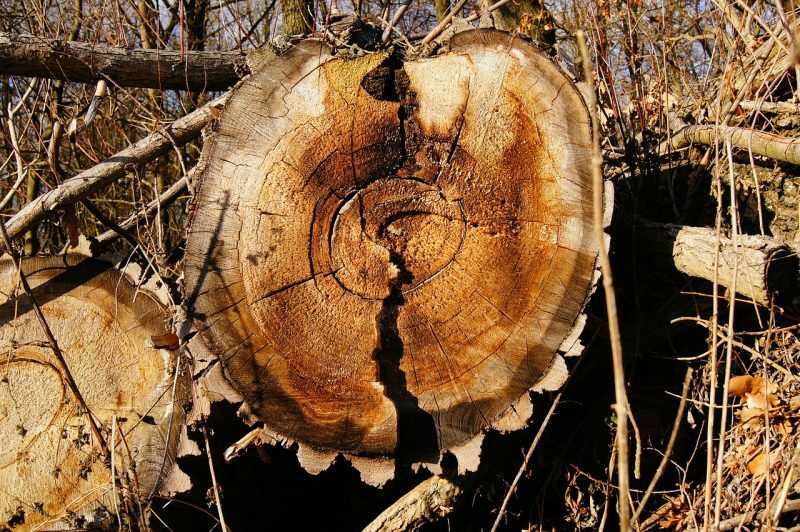 When timber is collected, in order to be FSC compliant it must have no long term effect on the environment as well as little to no impact on surrounding wildlife. 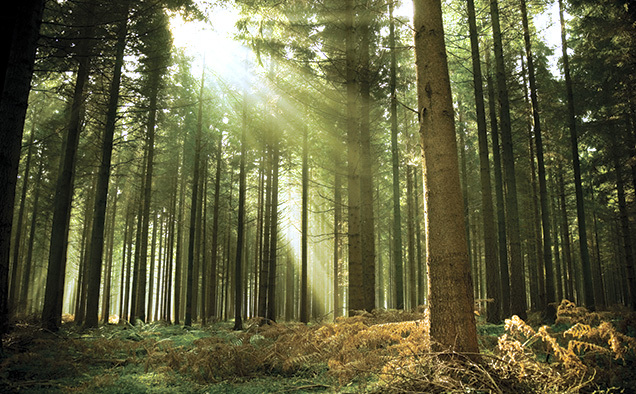 Careful forestry ensures a long term co-existence with the natural woodlands of the UK. Quality, efficient machinery with skilled forestry teams considerably improve the ability to keep Douglas Fir sustainable. If you take a little look at this picture, we chop trees like these down to make our windows. For me, there’s some guilt here, and that’s the whole reason for the post, if there’s a chance to repair sash windows rather than replace, which saves timber, we should take it. How London Sash Window Repairs Ltd use sustainable timber. 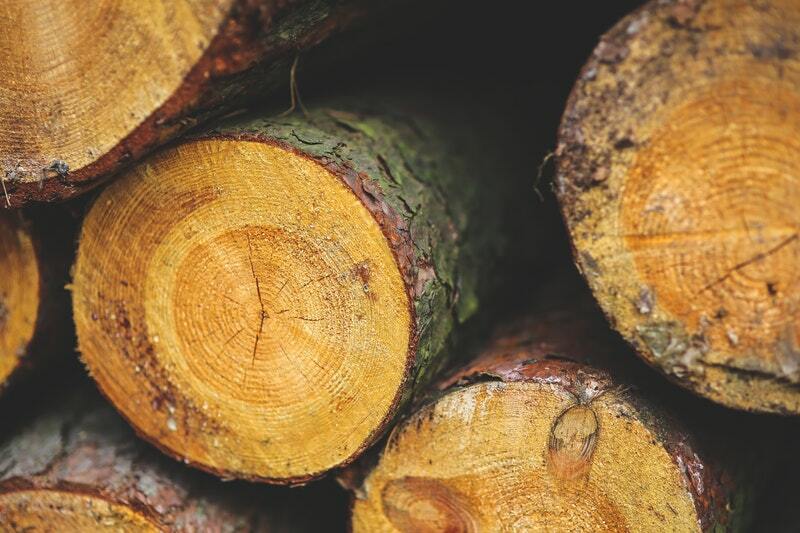 We use Douglas Fir, because it is an exceptionally high quality softwood timber, that when treated and crafted correctly, will last at least twenty years, and further to this, if maintained correctly, will last a lifetime. The most common works carried out by London Sash Window Repairs Ltd include sash window draught proofing, sash window renovation, sash window decoration, and double glazing of existing period sash windows. Repairing before replacing has a huge impact on the overall timber requirements. If we repair a sash window, we are likely to use just five percent of the total timber required to replace. Only sash window parting bead and staff bead is replaced on sash window draft proofing which accounts for just one hundredth of the timber used in replacement! When replacing sash windows entirely we use a micro porous paint that ensures timber stays dry, this further improves the sustainability of timber. What can we do to make timber more sustainable? Timber sustainability is something we can all participate in. Just because we are not cutting trees down, and subsequently using them, does not stop us from planting our own. The biggest problem with cutting trees down is the de-forestry which is now the second largest cause of greenhouse gas emissions.We could also consider DIY draught proofing our sash windows or double glazing to reduce carbon emissions. These will both help the environment considerably, reducing greenhouse emissions. Draught proofing in particular is really important and well worth doing for the environment. There is nothing stopping us planting trees for our own benefit, be it an apple, or citrus! Whilst these trees are not used in production, it serves to reduce the net loss of trees globally. It’s a small gesture on a household level, but if everyone with a little space to grow trees, (and especially those with larger areas), did so, the net gain would be extremely significant. It might please you to know 12 percent of the UK is now tree covered and this number is actually growing! We have fully recovered from 1940 when natural stock was significantly depleted due to a lack of import options in that period. What makes a brilliant sash window service?